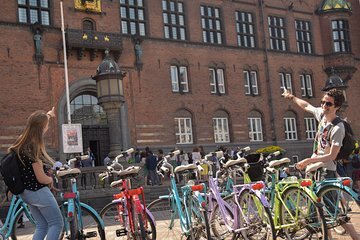 Copenhagen is one of the world's best cycling cities, so it would be a shame to explore it by motor vehicle. On this guided tour, you can pedal like a local through the streets of the city to see the top attractions, as well as a few of your's guide's favorite hidden gems. Along the way, you'll learn all about local life and culture. Operates in all weather conditions, please dress appropriately. Copenhagen can be lovely and sunny, or windy and cold, all on the same day!